Great catch from Swamplot today. 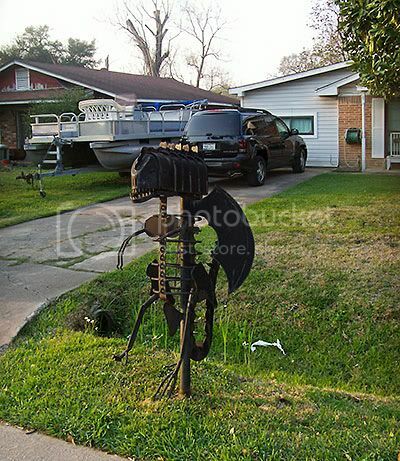 Someone down in South Houston has taken a welding torch and turned his mailbox into a totem of the alien from Alien. I love lawn art in general, and this is an awesome example of someone turning a quotidian object into an idiosyncratic, highly-public piece of personal expression.